One good thing about summer heat is that it really gives us a chance to explore our options. Enjoy this city with abundant sunshine. Taking a dip into cool waters might be a perfect choice to beat the scorching summer heat. 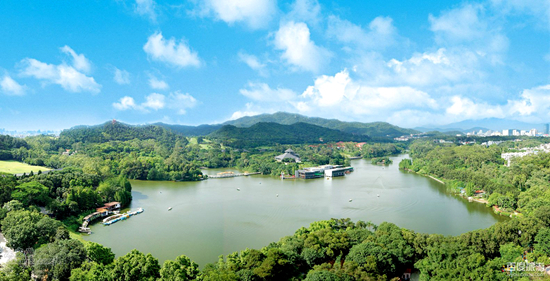 Exciting facilities at the Chimelong Water Park will definitely make it even better. Chimelong, the largest water park in Guangzhou with the highest number of facilities in the world, could be a great option for having fun while avoiding the city's summer-long heat-wave. 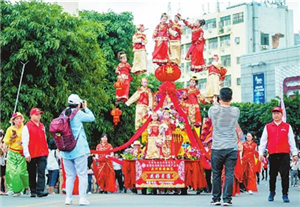 Time: 9:30 a.m. – 10:30 p.m.
Xiaozhou Village was built at the end of the Yuan Dynasty, more than 370 years ago and now stands on the southern outskirts of the city. 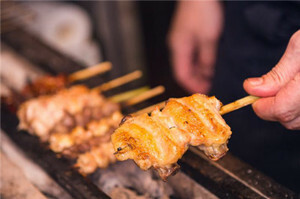 It is characterized by classical Cantonese community landscapes and modern art and crafts boutiques and has borne witness to all that the city has been through. 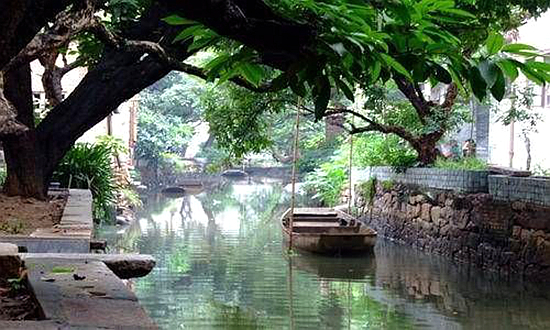 Old trees can be seen everywhere in Xiaozhou Village, providing shade and shelter for visitors to cool off. 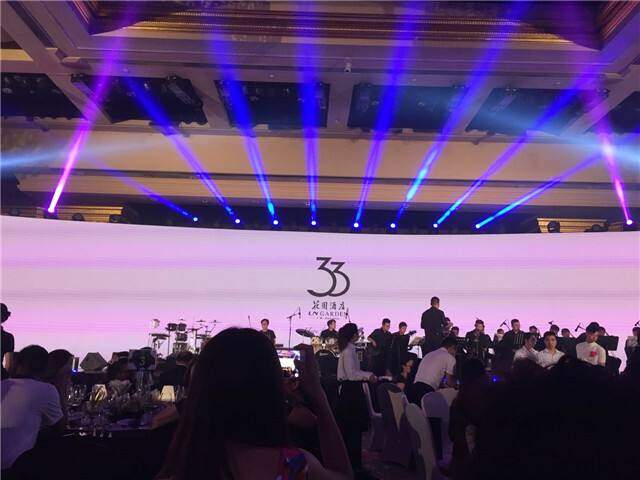 Situated to the north of Guangzhou’s city center and near the southern foothills of Baiyun Mountain, Luhu Park, meaning "Lake at Foothill,” has long been hailed as an oasis for city residents. As parks play an indispensable part of a city, so do lakes and mountains. With a perfect combination of both, Luhu Park is an ideal destination to stroll, meditate and relax. 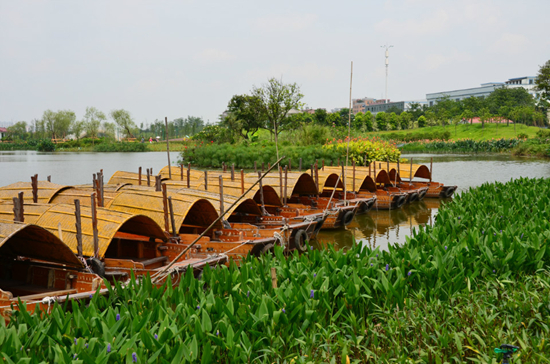 Haizhu Wetland is connected to Haizhu Lake with six surrounding canals, forming a “One Lake, Six Canal” water network.It is a great destination for people to spend their leisure time and get in touch with nature. The wetland park is located along the migration route for birds and offers an important habitat for the migrating birds. Haizhu Lake and two phases of demonstration zones for the Haizhu Wetland project are now open for free. To help protect and conserve this fragile natural habitat, visitors are required to book their tickets in advance by following “Haizhu Wetland(海珠湿地)” on WeChat or dialing 020-62380066. Only 1,000 reservations are accepted each day. Staying indoors might be another good option to escape the heat. 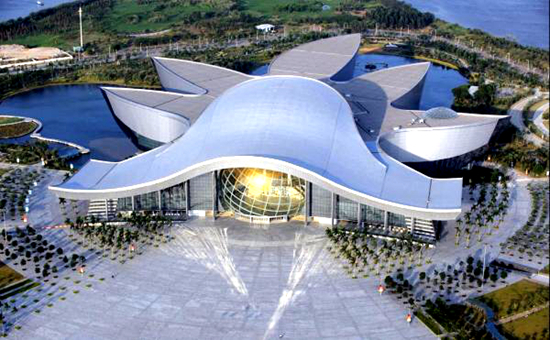 Why not spend a day at Guangdong Science Center and fulfill your curiosity in the realm of science? It is the largest science museum in Asia. The building has a unique architectural design, looking like a “blossoming kapok flower” from high above. 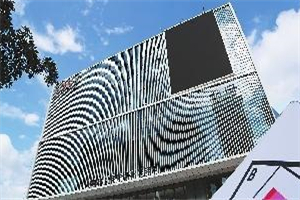 The center features 10 permanent exhibition halls with special themes, as well as 4 scientific and technological IMAX 3D, 4D, Virtual Navigation and ball screen cinemas. Take Metro Line 2 to Wanshengwei Station and transfer to Line 4 to Higher Education Mega Center North Station. Take Exit A, and then take bus 35, 387 or 801.